Cork people seem to be natural boasters, an innate self-confidence that often grates against the rest of us cynical, flaw-seeking folk. 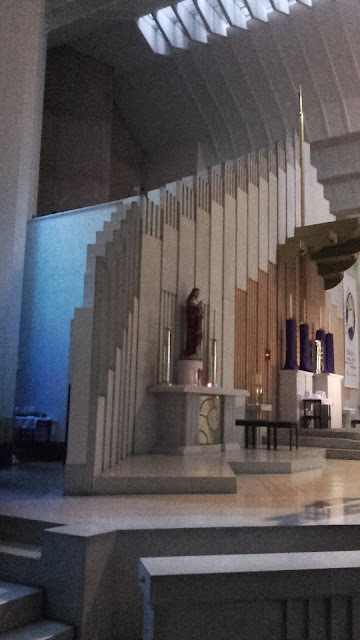 One thing they can certainly show off about is having the first Modernist church in the land, Christ the King Church at Turner's Cross. 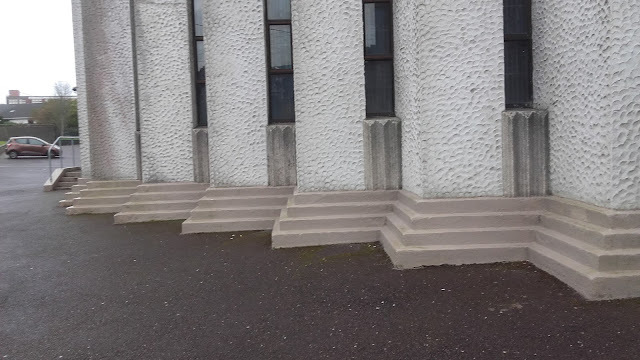 Furthermore it holds the title of being first ever concrete church in Ireland. It is hard to find fault with this magnificent expression of a nation that has aligned itself with the Catholic church while also boldly throwing its arms open to welcome the rest of the twentieth century. The power of the church to strike awe in the viewer emanates from the Christ statue at the doorway. 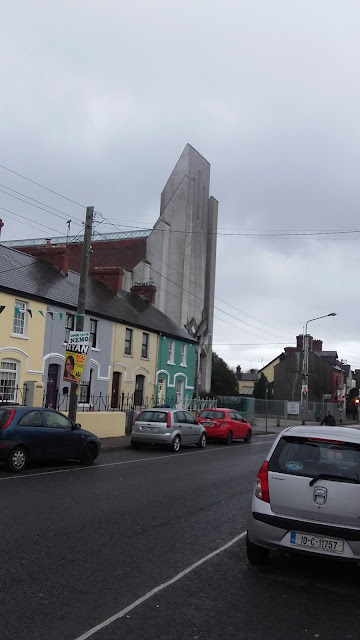 Its staggered bays of the front and side elevations remind me of Giants Causeway, as if Jesus rose from the bedrock and these impressive concrete shards sprung up with him. Sculpture was designed by American sculptor and painter John Storr, who had been a student of Rodin and had worked with Frank Lloyd Wright and Louis Sullivan. 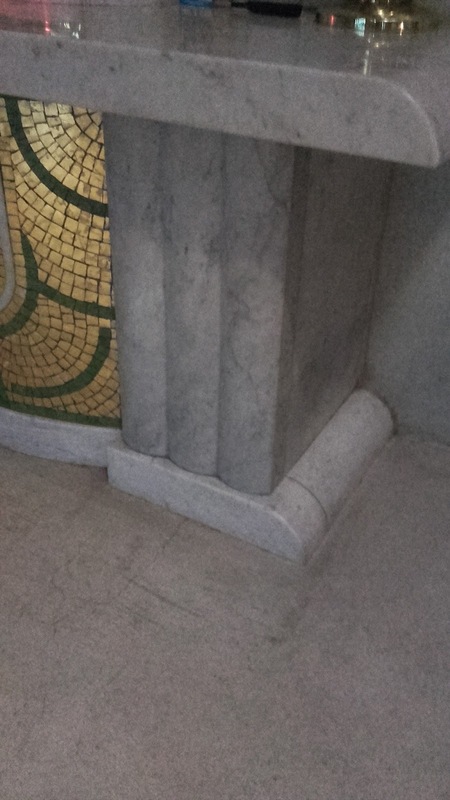 Local sculptor John Maguire made the finished sculpture and worked on the marble altars (you can see a picture I took of the altar below beneath the altar cloth. 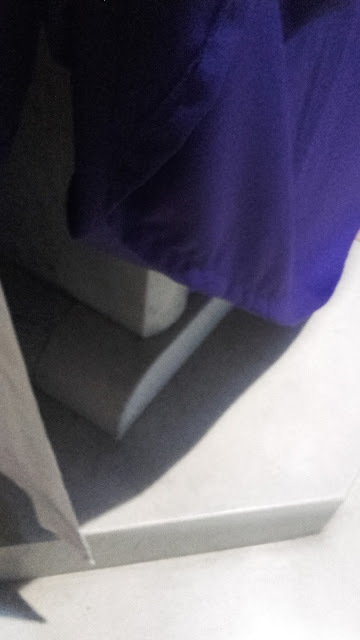 It's such a shame altars get hidden). From his arms are these jazzy rays of concrete light. 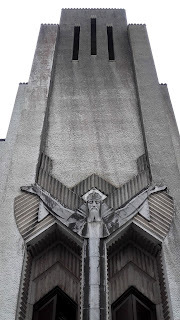 His upper arms starting off the chevron shape of the Art Deco age. Chicago architect Barry Byrne got the commission to design the church for this new parish in 1928. After seeing a Chicago Architectural Club exhibit in 1902 he sought employment with the aforementioned Frank Lloyd Wright and worked as an apprentice in his Oak Park studio, Illinois until 1907. 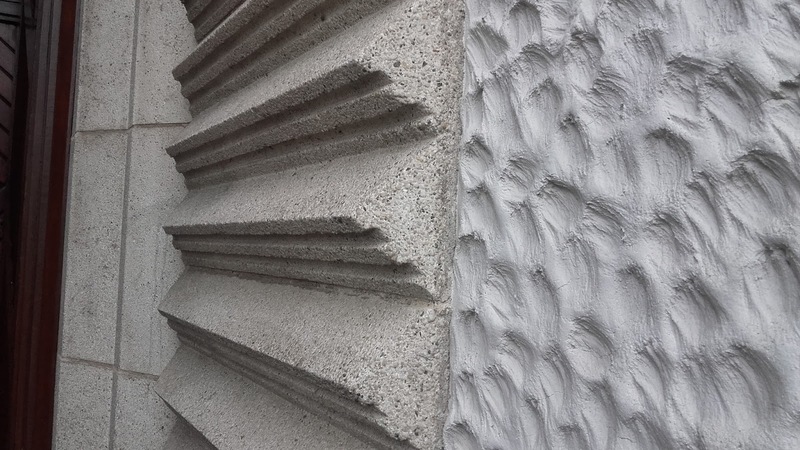 Byrne's style moved away from the Prairie School becoming more simplified but yet he undoubtedly took away Wright's appreciation for the uses and the aesthetic of concrete. 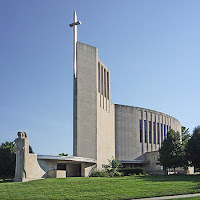 Christ the King is considered the first of Byrne's important ecclesiastical trio; Church of St. Francis Xavier in Kansas City, Missouri (1949), and St. Benedict's Abbey in Atchison, Kansas (1951-1957). 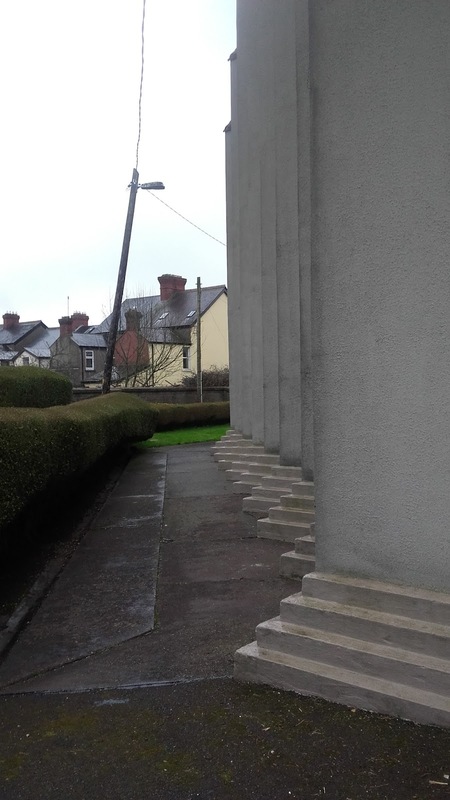 Evidently Byrne was so devoted to concrete that he ceased to design brick edifices after Cork. The foundations were blessed on 21 July 1929 and the church opened on 25 October 1931 with one of the largest suspended-ceiling churches in Europe. 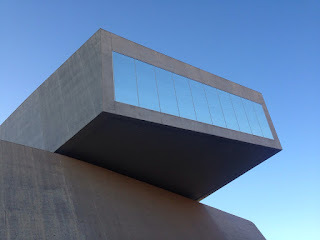 The building is larger than you would expect standing on the outside, with a seating capacity of 1200. 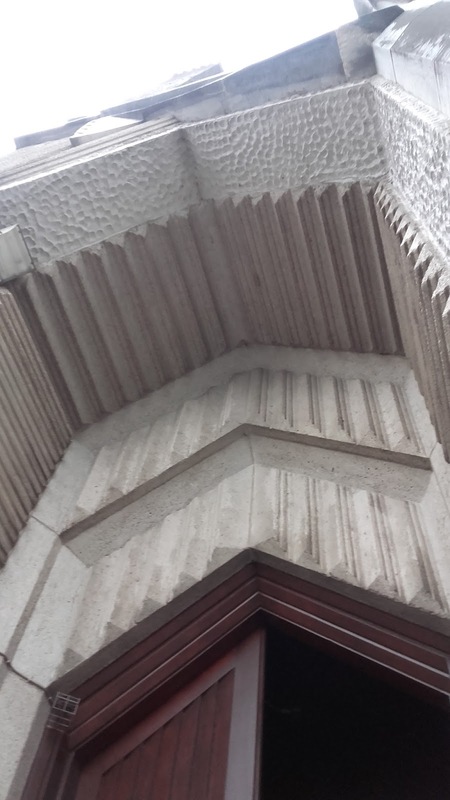 The stepped form is carried through to the interiors including the plaster ceiling and the altar reredos. 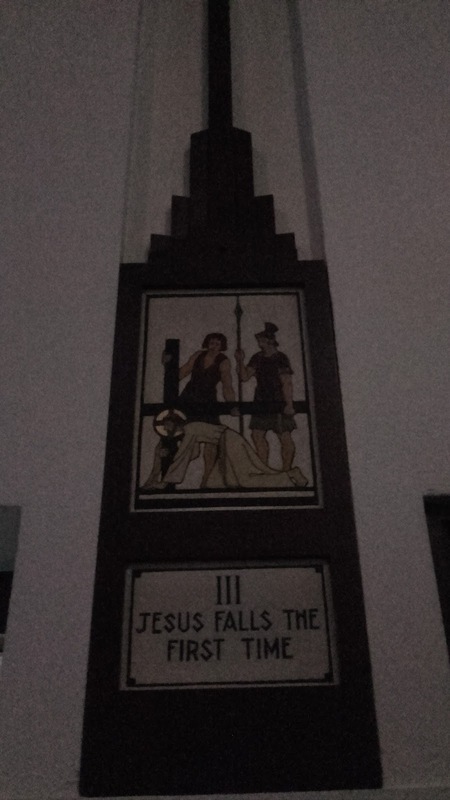 I kept having to remind myself that this church was designed in the late twenties. I say thankfully the original brick and wood church envisaged could not be achieved with the £30,000 budget (inclusive of interiors) allocated for it hence concrete as the main construction material with wonderful results. The economy of funds let to an economy of materials and a simplicity of the bright open internal space matched by few Irish churches. 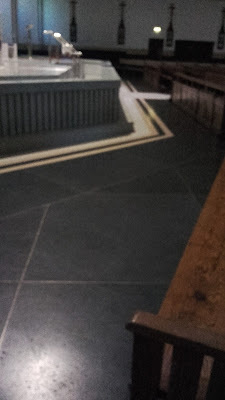 The black marble terrazzo floor is as stylish as any luxury hotel and the sparing use of stained glass windows and marbles is effective. 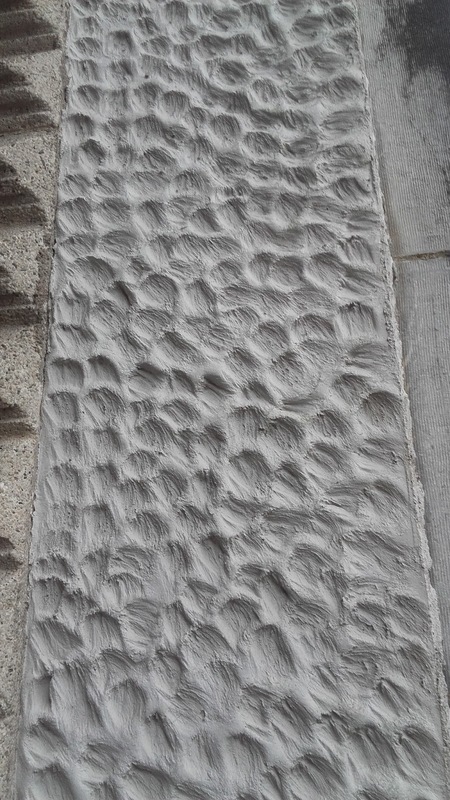 Ready mix concrete was unheard of at the time so it's raw material was equally as radical as it's design. 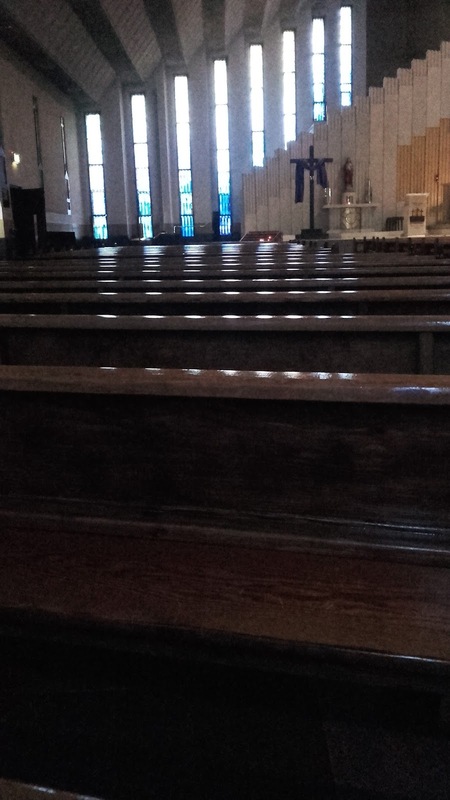 Today the church retains much of it's original character and layout after renovations in 2002. The Irish Architectural Archives hold copies of the drawings for Christ the King Church which were donated by Shane O’Toole. Christ the King is a landmark for Irish architecture let alone modern church building. However the design of the church was controversial and received with a mixed response at the time. 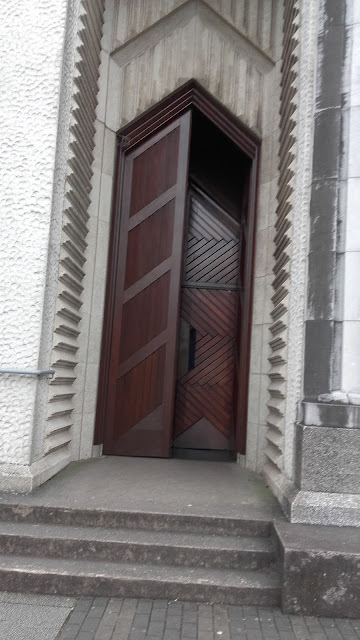 For whatever reason Christ the King church did not immediately influence Irish church design which continued in imitation of earlier styles of architecture well into the 1960s. Modernist architecture was regarded as suitable for hospitals, factories and the like; however there were doubts among some of the clergy about its suitability for ecclesiastical buildings.The Catholic Church and Church of Ireland staunchly continued their reverence of the revived Classical and Gothic styles of the previous century. 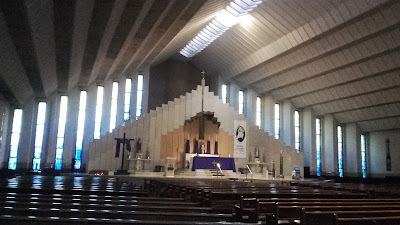 A year after the opening of Christ the King saw the International Eucharistic Congress held in Dublin with J.J. Robinson (of Robinson, Keefe Devane) as its architect. The pageantry of this event was done in a Palladian setting. 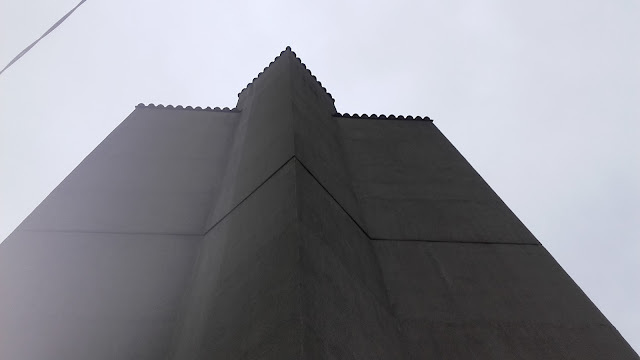 Ireland would have to wait until the likes of Liam McCormick 's(Corr & McCormick Architects) design for The Church of Our Lady & St Michael in Ennistymon, Co. Clare to see another concrete beauty to worship. Very nice post focusing how we can help others in our society. It will appreciate others I hope. 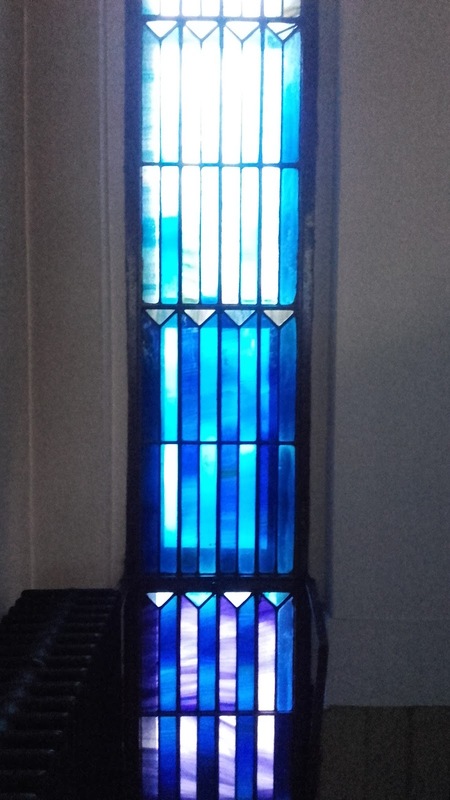 Like this way we can work together to rebuild our old and damaged church. And also other good hearts are here to support us by their contribution in raising fund. Church mortgage is a good option for us. An amazing article. It’s nice to read a quality blog post. I think you made some good points in this post about interests are in the appreciation and conservation Concrete service.